As usual, I needed to use my eggplant, which was going bad too soon. I also had a taste for a lettuce-wrapped burger, so my search for dinner recipes began. I found this video. The woman in the video is quite annoying, but the burgers she made looked really good. I didn’t have all of the ingredients that she used, and I am not eating soy or sugar or dairy, so some things that she used I left out. Now that I think about it, my recipe was nothing like hers. I just used it as inspiration. 🙂 I hope the pictures explain what I did well enough. The “kind of” in the tile means that the burgers didn’t come out as firm as an actual burger (meat, veggie or bean). They were soft, and a little crumbly. it may be a good idea to add something like oatmeal to absorb the liquid and hold the burger together. I added some brown rice flour (as you’ll see in the picture) to make the burgers a little dryer. They were still really good on the lettuce! I don’t know, but I just bought 4 pounds for $5 at Sunflower Market! 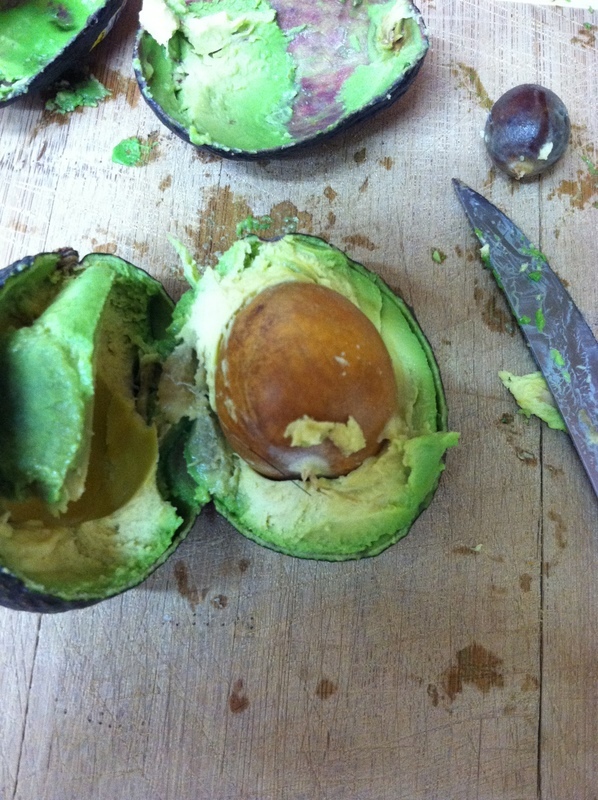 I had about 8 ripe avocados, and needed to eat them right away. I usually just have one here or there with lunch or dinner, but after purchasing 8 at a time from the local supermarket (since they are on sale for 4 for $1! ), ALL of them were ready to devour at once…. Have a sugar craving? Think smart about it before indulging. Besides being delightfully high in sugar, oatmeal cookies have plenty of health benefits, especially the multi-grain version with flax seeds, triticale, barley and rye. Can’t find multi-grain oatmeal cereal? Add one or two tablespoons ground flax seeds with the dry ingredients. Newbie vegetarians avoiding diary can use one tablespoon of ground golden flax seeds plus three tablespoons of water for each egg. Allow the mixture to rest for a few minutes before using the mix in a recipe. Full-fat unsweetened soymilk is a great vegetarian replacement for cow’s milk. In addition, this recipe uses plenty of vitamin E and antioxidant rich walnuts. I prefer chunky walnuts to balance the sweetness of the sugars. As for the chocolate, this recipe uses semi-sweet, which has less sugar and more intense flavor. The better the quality of the chocolate, especially when purchased at health food stores, the more iron it has. Don’t despair if milk chocolate is your favorite, for quality versions are high in calcium. Next time you have a sugar craving, don’t feel too bad if using healthy and smart ingredients. Cream butter and sugars in an electric mixer for at least five minutes or until creamy. Meanwhile, whisk flours, oats, nutmeg, sea salt and baking powder together. Set aside. 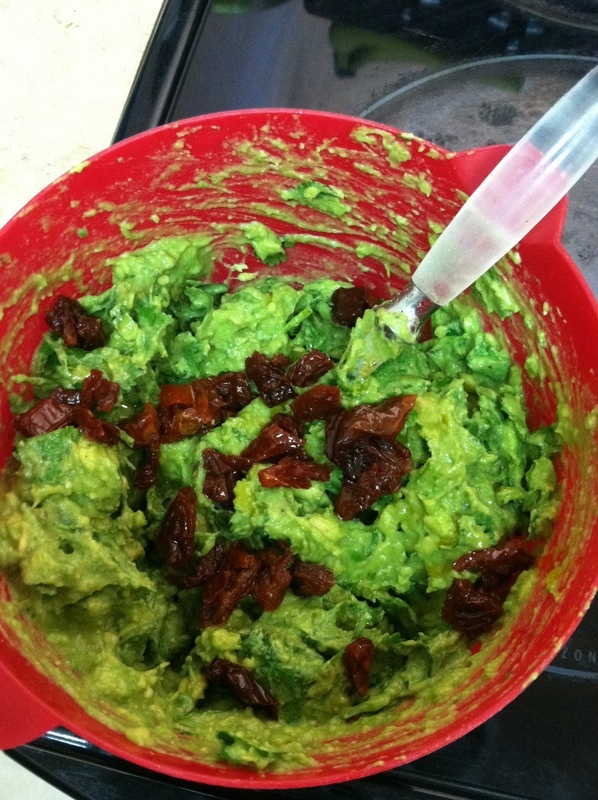 Individually add eggs, beating after each addition until just incorporated. Add the vanilla. Add a third of the flour mixture in the cookie batter and mix until just incorporated. Add half the milk and mix until just incorporated. Continue alternating and ending with the flour. Drop a tablespoon of the cookie batter onto the baking sheets at least one-inch apart. Bake for at least 12 to 17 minutes or until the bottom is golden brown. Remove cookies from the oven and let rest for two minutes. Remove cookies onto a wire rack. Let cool. Enjoy with your favorite unsweetened milk.